The first three books of the Tenacious Trents series by Jane Charles, now available in a "box set". Includes: Compromised for Christmas, A Misguided Lord, and A Perfect Gentleman. Devlin Barrett was never meant to be Viscount Marston, but when his older brother and father die within a day of each other, Devlin not only inherits the title, but three younger sisters, all of marriageable age, and must retire from his former profession. He is unprepared for the responsibility thrust upon his shoulders and determines the best way to care for his sisters, and see that they are happy is to marry them off quickly as possible. He knows what is better for them, even if they don’t agree. And until they are settled, his life, and future, is on hold. Heiress Lady Moira Kirkwood will do anything it takes to marry a laird to take her north - far, far away from London and her domineering mother. Unfortunately, a pair of gentlemen overhear her jest about Scotland and compromising a fellow if she has to. Before the sun has risen the next day, Moira's name and a scandalous wager have found themselves inside the infamous betting book at White's. A disgraced son with a dark reputation, William Ferguson Avenel is content to live in exile in Scotland - until his father dies in the scandal of the Season, making him the new Duke of Rothwell and leaving him in charge of his young sisters. With rumors of insanity swirling around their family, the girls desperately need a chaperone. And he thinks he's found the lady for the job...until Rothwell discovers her dangerous secret life. Six Award-Winning Authors have contributed new stories to A Timeless Romance Anthology: Silver Bells. 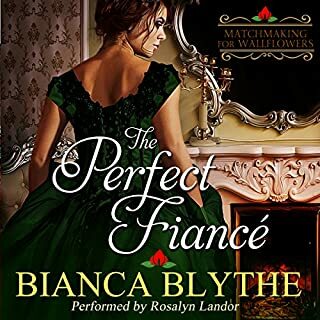 Listeners will love this collection of six historical romance novellas, all centered around the Christmas season. Now a widow, Felicity Harrison does not recognize the handsome nabob as the young man left for dead by highwayman years earlier. Though she wants nothing more than to snub the arrogant man who promises to rescue her family from financial ruin in exchange for presenting his sister to Society, she cannot snub him. She must force herself to bear his company. Why is it the humbly born Thomas Moreland possesses more nobility that any man of her class? And why is it she finds it harder and harder to mourn a dead man when Thomas's virility awakens her deepest desires? His love was lasting, could they save each other? Lady Elizabeth craved excitement and adventure. Unwilling to endure further boring Seasons, she convinces her uncle, who has lived a more adventurous life than anyone else she knew, to let her work for him. A few years later, Elizabeth was established in Tuileries Castle, a servant in Napoleon's court known as Lisette Renard. John Phillip Trent has been working in the stables of Tuileries as Jean Pierre Bouvier for the past two years. His only English contact being Lisette Renard, a lovely blond lass, who he desired but kept at a professional arm's length. When Lisette receives a summons to return home for Christmas, John learns that she is none other than the granddaughter of the Duke of Danby and she had named Jean Pierre as her husband. Their cover is compromised with the same letter and the two find themselves escaping the palace and France, knowing they could very well never see each other again and must face the truth of how they truly feel for the other. What was one of the most memorable moments of Compromised for Christmas? I loved it when John met Elizabeth's grandfather the duke! What does Marian Hussey bring to the story that you wouldn’t experience if you just read the book? Great narrator! She breathed life into the characters! This was a fun story to listen to. International intrigue, a crafty English duke, two very likable characters in Elizabeth and John. I'm hoping to find more of the duke's grandchildren somewhere. Narration: Marian Hussey does a creditable job of performing this story. Her vocal range isn't all that great, but she does express emotions pretty well. At just under 2 1/2 hours, this barely qualifies as a novella, which makes for a feeling of incompleteness. Don't get me wrong! The characters are well developed and likable. and there's action to keep you involved. However, because of its length, you don't get a sense of a growing relationship and emotional growth. You're left with questions. How does Elizabeth's uncle react? What happens next with John and Elizabeth? Will they continue as characters in other books of the series, or just disappear? But... give it a listen. I don't think it was expensive enough to use a credit, but it's worth the time you spend with this adventure despite the lingering questions. Never mind the season - it doesn't have to be Christmas to enjoy it. I feel like it needed just a tad more to the ending but I'm still happy with it. I don't usually read novellas but since this was Book 1 of the series, I wanted to start at the beginning. And I've never read this author before; a good way to sample her work. It was okay. For entertainment value it was quite good - adventure, fear, romance, family (always good for some tension.). The ending was a little quick but it WAS a short story. I look forward to the next book in the series.